792 people read this post. The most widely used tree twigs since early times is the ..Siwak” or ..Miswak” .The stick is obtained from a plant called Salvadore Persica that grows around Mecca and the Middle East area in general. It is widely used among Moslems after Prophet Mohammed ( pbuh ) realised its value as a device which should be used by Moslems to clean their teeth. In this respect our Prophet ( pbuh ) is considered the first dental educator in proper oral hygiene. “IF IT WERE NOT TOO MUCH A BURDEN ON THE BELIEVERS, I WOULD PRESCRIBE THAT THEY USE THE SIWAK BEFORE EACH PRAYER”. Several anecdotes6, incidents, poems 7 and rules of ethics in using Siwak were mentioned in various references talking on the subject of cleanliness of the mouth. Salvadora Persica is in fact a small tree or shrub with a crooked trunk, seldom more than one foot in diamete, bark scabrous and cracked, whitish with pendulous extrimities. The root bark is light brown and the inner surfaces are white, odour like cress and taste is warm and pungent. Chemically the air dried stem bark os S. Persica is extracted with 80% alcohol and then extracted with ether and run through exhaustive chemical procedures. Because of the great quality of oral cleanliness noticed in individuals who use Siwak as the sole device to brush their teeth and because of the low incidence of dental decay of those individuals this work was undertaken. 2. 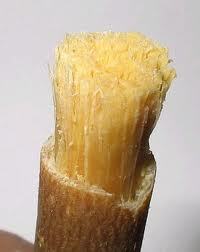 If Siwak is powdered and used with a toothbrush, could it act as an efficient mouth cleaner? 3. As compared to other strongly abrasive toothpowders, could Siwak rank as highly efficient as to the used material? Proper oral hygiene should be maintained through intensive instructions by the periodontist as well as by a great expenditure of time and dexterity on part of the patient. This item is self corrected in Moslems because Siwak users take Siwak as a device that should be used as part of their religious ritual regimen. The results obtained in this investigation have proved that Siwak and other tree twigs could act as an effective tool in removing soft oral deposits. It could be even used as an effective device in preventive dental programmes in mass populations. The indices used in this investigations were simple and adequate as they discriminated between experimental stages as well as between experimental groups. Using starch is not quite accurate but it was meant to evaluate the degree by which Siwak and powdered Siwak could rid teeth of deposits as compared to the best abrasive viz. commercial powder. It is noticed that the difference between first and fifth week of the mean score of plaque percentage for powdered Siwak is the highest (-11.2%) of all readings. This indicates that powdered Siwak is used with mechanically proper device i.e. tooth brush will give a great deal of oral cleanliness. It has been reported that Salvadora Persica contains substances that possess antibacterial properties Some other components are astringents, detergents and abrasives Those properties encourage some toothpaste laboratories to incorporate powdered stems and/or root material of Salvadora persica in their products (Beckenham U.K. Sarakan Ltd.). Although the commercial powder gave a high degree of efficiency in plaque removal yet its use over the experimental period gave a high score of gingivitis percentage within the group using the powder. It is time that plaque eradication is essential but this should not be on the expense of deletirious side effect on other tissues. It could be concluded that Siwak and powdered Siwak are excellent tools for oral cleanliness. Because of its availability in this part of the world, being inexpensive and readily adopted by Moslems as part f their religious regimen, it is highly recommended in implementing a preventive dental health program Islamic countries. Also recommendations should be directed to manufacturers of toothpastes to include the powdered form of Siwak in a highly debriding sophisticated toothpaste.